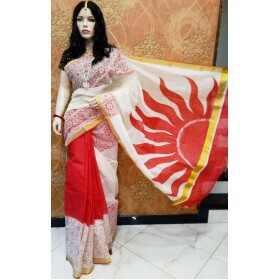 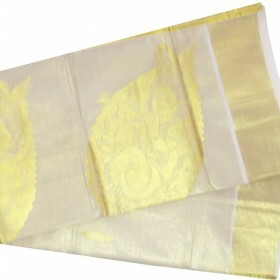 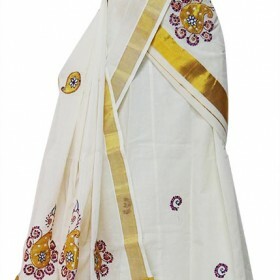 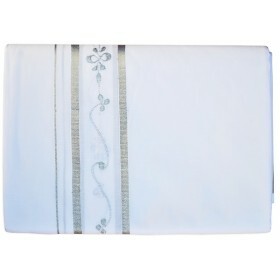 Awesome and lovely kerala kasavu half saree with flower embroidery wrapped in a zari and also 2 inch.. 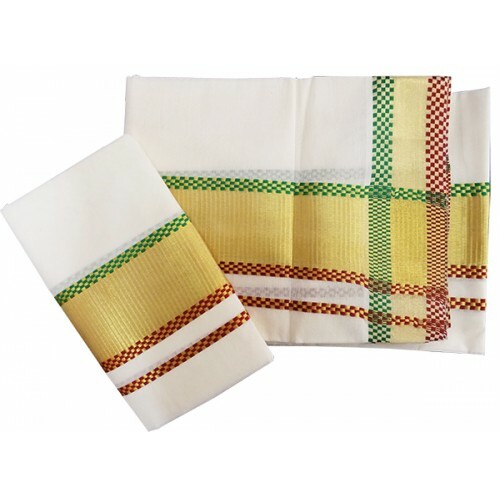 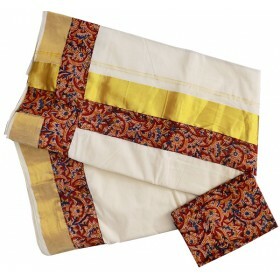 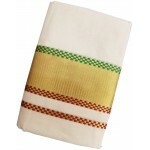 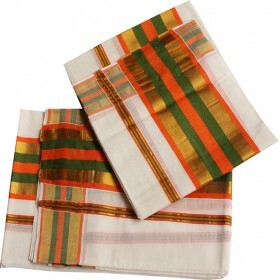 Here is a traditional settu mundu from Malabar shopping. 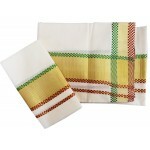 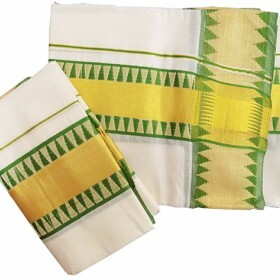 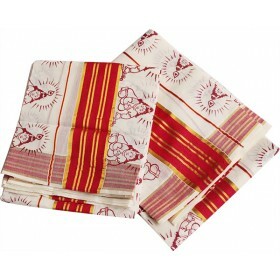 Kasavu borders in that both the sides includes simple designs with mixing of green,red and golden check design. 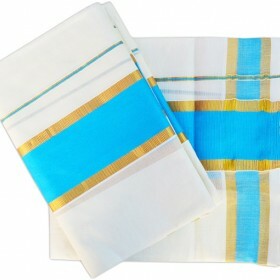 This attractive border combination can be seen in vertically of the settu mundu and also there in horizontally in the bottom.